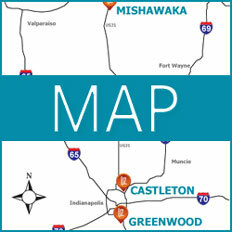 Uzoox Mobile Device Repair Services is one of Indiana’s leading repair shops for smart phones and other mobile devices. Managed by highly experienced technicians, Uzoox makes it the highest priority to provide its clients with premium iPhone 4 screen repair services and LCD repair services with high quality replacement parts. Regardless of which generation of Iphone you own, there is always a chance that some damages will occur, more frequently than not, this typically includes significant damage to the iPhone 4 screen and LCD. In the world of advanced communication systems, the cell phone has become the right hand, and a damaged cell phone screen can easily become a serious impairment. Whether your iPhone 4 screen is cracked, broken, or detached, Uzoox mobile device repair services provides rapid and affordable repair solutions to restore your iPhone 4 back to full functionality and get you back to tackling life’s challenges, one key button at a time. LCD stands for “Liquid Crystal Display” and it refers to the high resolution and crystal-clear and crisp images that your iPhone 4 produces. 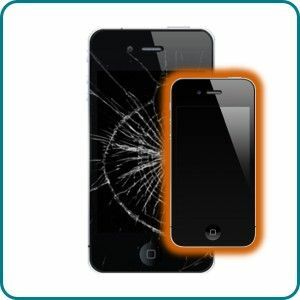 The LCD feature is located directly under the Digitizer on your iPhone 4. The iPhone 4 digitizer is the glass that covers the front of the phone, it is the touch-screen feature that gives the iPhone 4 and many other mobile devices the appeal that we look for in smart phones. The LCD Digitizer Assembly is the process by which the manufacturer groups together the iPhone 4 LCD, the digitizer, and the frame onto the body of the iPhone 4. The older iPhone models like the 3g and 3gs, the LCD and digitizer were two separate parts. But Apple has made significant upgrades to the more recent iPhone models, like the iPhone 4. In these new models, the iPhone LCD and digitizer are fused together, making it a more difficult process to separate the two parts and to properly repair a damaged LCD or iPhone 4 screen. The Uzoox mobile repair service technicians are digital masterminds who are highly-trained at repairing iPhone 4 and other Apple mobile devices to full restoration and functionality. At Uzoox, we are committed to using high quality replacement parts to ensure that your iPhone 4 will work efficiently once long-lasting repairs have been made. We stress that our friendly and professional staff provide the best care and expertise available so that your Iphone repairs meet your needs and satisfaction.